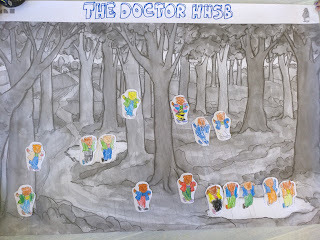 We are in the 4th unit: THE DOCTOR. 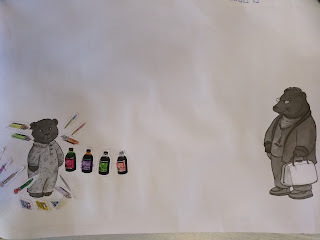 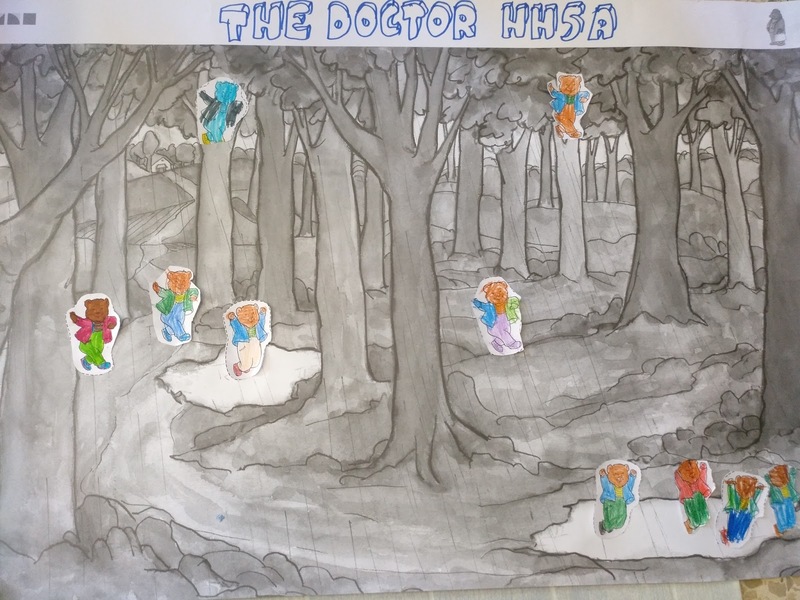 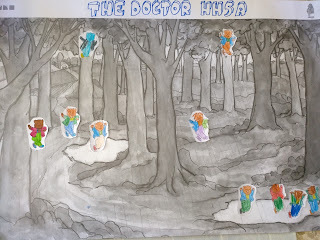 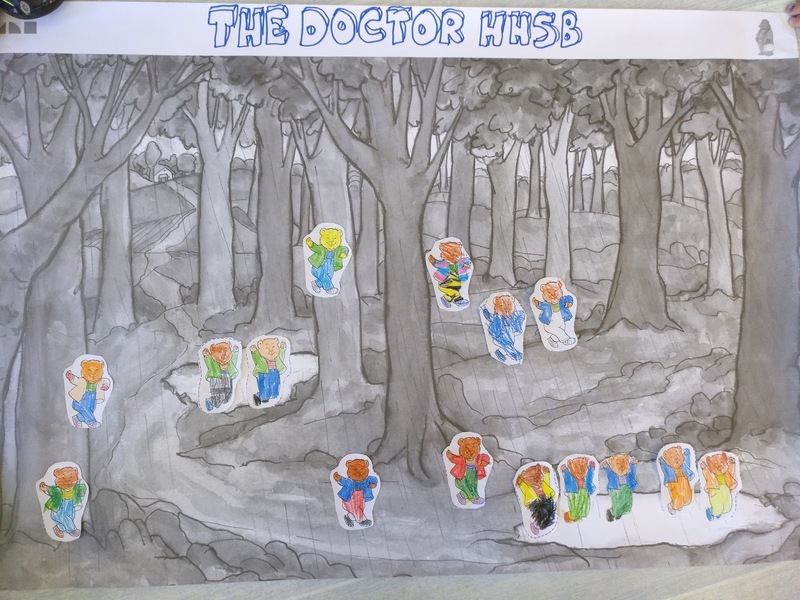 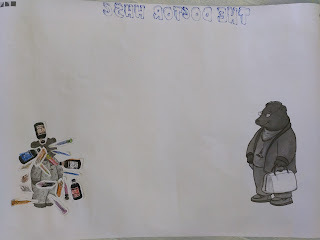 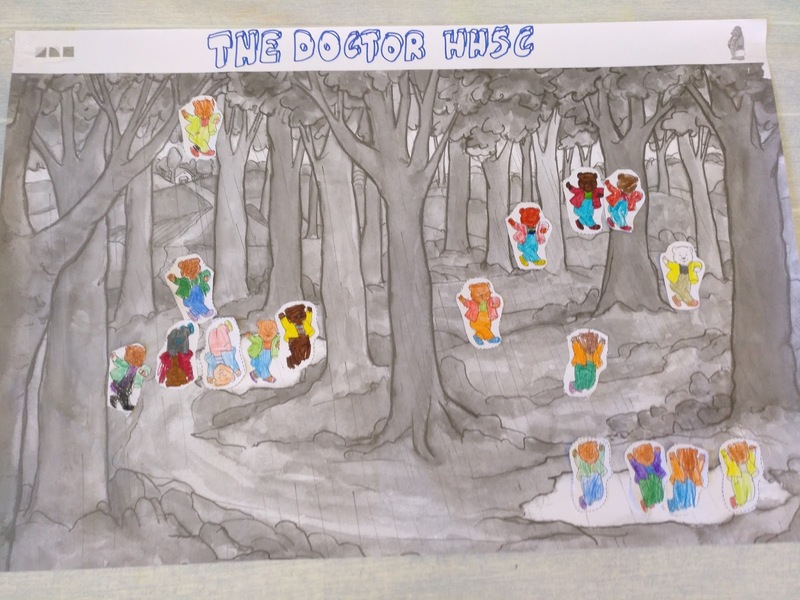 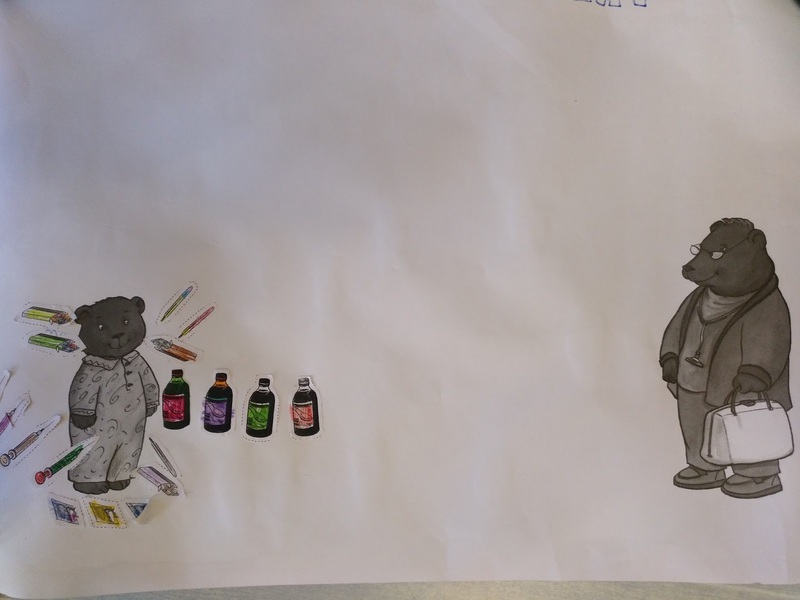 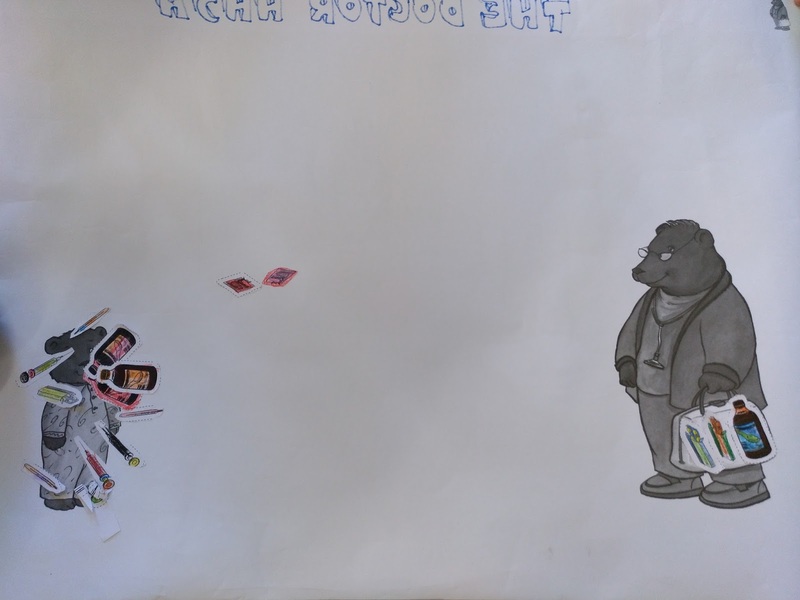 Students are learning the names of the most common illnesses and their possible cures.Little bear has gone to the forest and he has danced in the rain and jumped in a paddle.It has started raining and he is very wet. 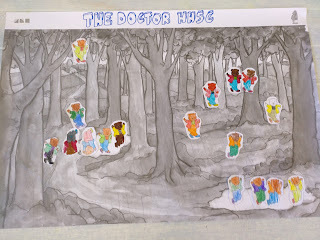 As a consequence, now he is ill and the doctor has come to his house.